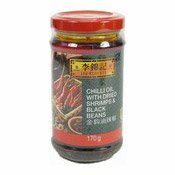 Mix onion, chicken or peeled prawn with chilli in oil in medium heat until cooked. 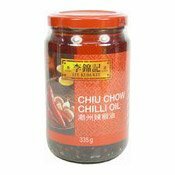 Add plain rice, spring onion and mix over low heat. 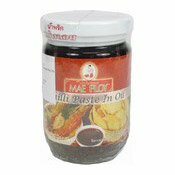 Sometimes chilli in oil is used in Thai meat salad. 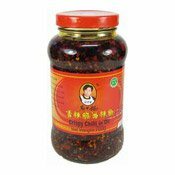 It gives you a little extra spicy taste. 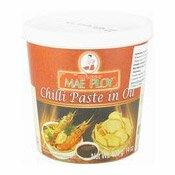 It can be a substitute for fresh chilli if you prefer your Thai salad not too spicy. 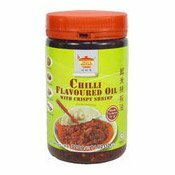 Tips: Use as much or as little as you like, put a little bit first then taste it. You can always add more. 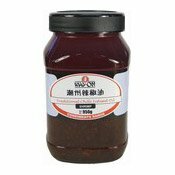 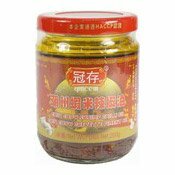 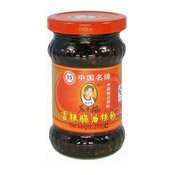 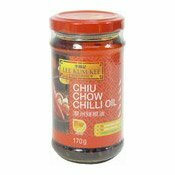 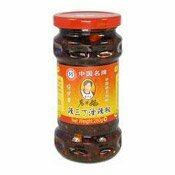 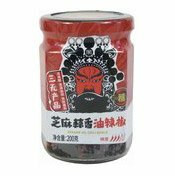 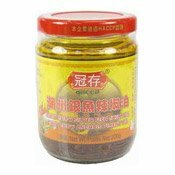 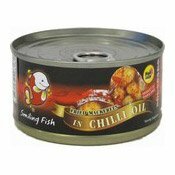 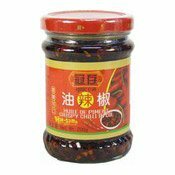 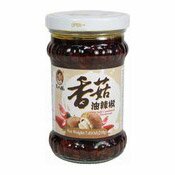 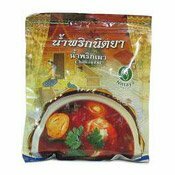 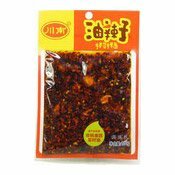 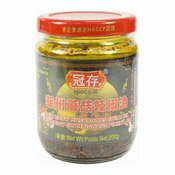 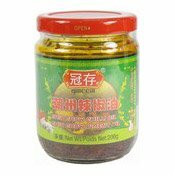 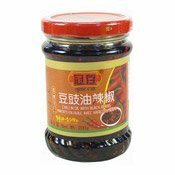 Ingredients: Chilli (25%), Garlic (17%), Shallot (15%), Sugar (12%), Vegetable Oil (Coconut Oil, Palm Kernel Oil) (10%), Salt (8%), Sour Tamarind (5%), Dried Shrimp (5%), Shrimp Paste (Shrimp, Salt) (3%). 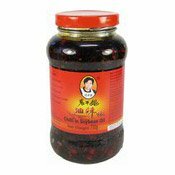 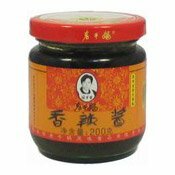 Simply enter your details below and we will send you an e-mail when “Chilli In Oil (辣椒醬)” is back in stock!